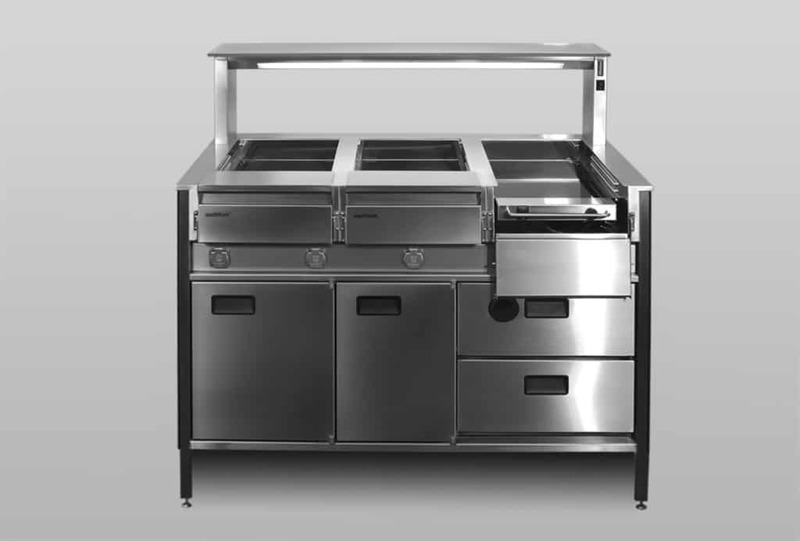 Varithekbuffet builds on the strengths of the self-ventilating Varithek ACS to offer diners a special culinary experience. 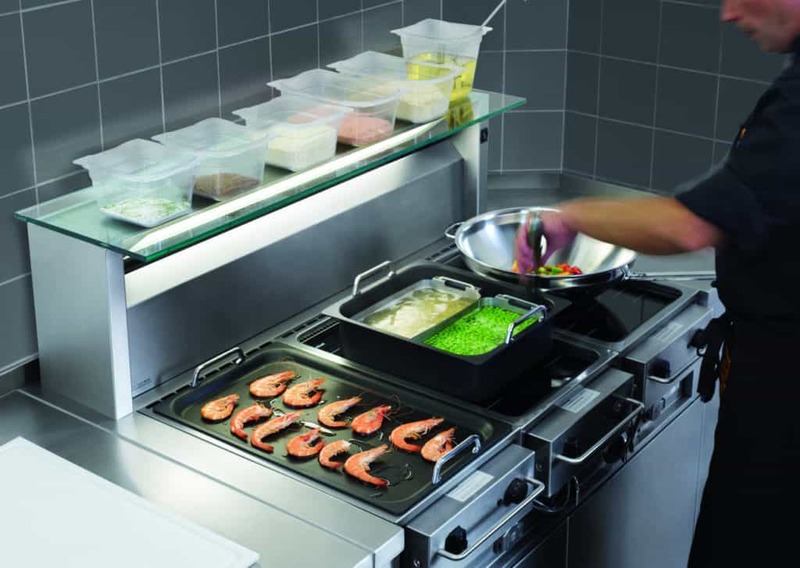 Cooking, serving and holding elements can be combined to make a unique back of house cooking station with its own self-ventilation, eliminating much of the M&E costs usually associated with installing a conventional unit. 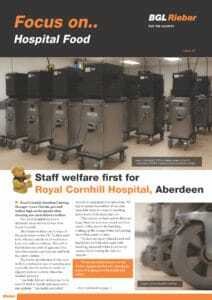 Back of house applications where you want to cook but have no extraction facilities. 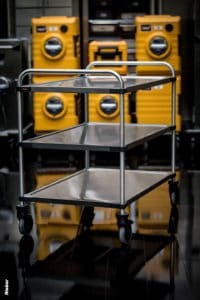 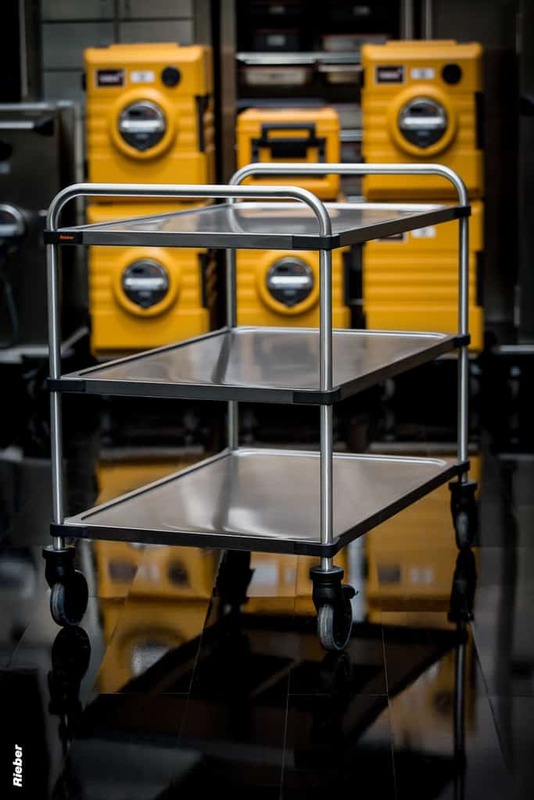 Mobile or fixed, ideal for small diet kitchens, directors dining, satellite kitchens where fresh food is required and a traditional kitchen set up is not practical.